Described by some in the entertainment industry as a “true Renaissance man”, Founder/Leader David Simmons’ work as both a performer and writer has been compared to the likes of James Taylor, Paul Simon, Harry Chapin, Colin Hay, Carlos Santana, Crosby Stills & Nash, George Thorogood, Jim Croce, Leonard Cohen, Dave Matthews, Genesis, Peter Gabriel, John Mayer and Stevie Ray Vaughn. 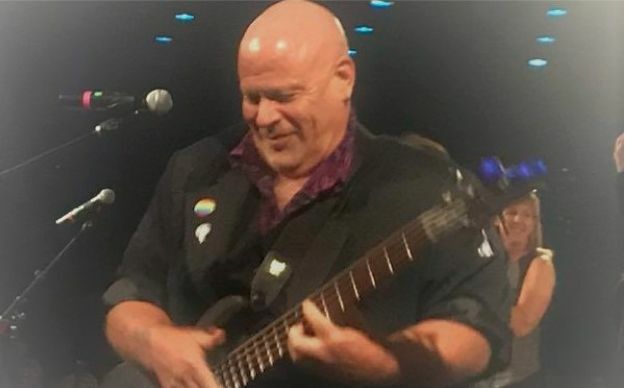 David has recorded and/or performed live with members of REO Speedwagon, A-ha, Tower of Power, King Crimson, Sly and the Family Stone, The Phoenix Symphony, The Schubert Kirche Orchester (Vienna) and has served as Music Director, Bassist and featured soloist on tour with The Drifters. David’s past performances include an international tour of the Pacific Rim and Indian Ocean (USO), various national tours, regional tours throughout Arizona, Montana and Texas and numerous clubs, coffee shops, schools, churches, concert halls, performing arts centers and even a stadium or two around the country. Wherever it may be, David brings a wealth of experience, energy and encouragement to every stage, school or project he encounters.